"Myth: a widely held but false belief or idea." B2B content writing is a topic ripe for discussion. There's tons of information and advice out there, which you could spend hours reading and digesting. But, you might still find yourself scratching your head over what denotes best practice. 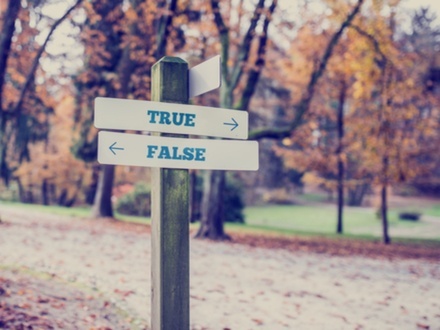 So, in the age of the "post-truth" society, it's time to put to bed a few lingering myths about creating B2B content. With multiple tabs open on our desktop computers, a mobile phone at hand, and pinging social media notifications, we're all prone to distraction in some form. So, it follows that your audience won't read lengthy blog posts. However, this isn't necessarily the case. People won't read long, boring posts that fail to address their interests or answer their questions – but they will read long, interesting posts that capture their attention and keep it. Consequently, the key is to do it right, not wrong. According to research by HubSpot, published in 2016, "long form content needs to have clear headlines and structure to allow for skimming". And, of course, it needs to be well-written and well-researched. It takes time to create long form content, so before you take the plunge on that 1,000-word-plus post, ensure that you have something interesting and relevant to say - and then go ahead and tell your story. The more you publish the better, right? In fact, while creating content on a regular basis is one of the core tenets of inbound and content marketing, quality nevertheless trumps quantity. Additionally, it may not be in your best interests to churn out as many blog posts as possible. In a tweet to Copyblogger's Sonia Simone, entrepreneur Rae Hoffman offers this advice: "A plumber doesn't need to publish three blog posts a week, nor does the world want them to." And, discussing this topic further in a subsequent Rainmaker.FM podcast, Sonia Simone says: "If you are publishing a lot because you think that Google cares more about freshness or recency than it does about something good, you are making an error. I know it'd much rather see you publish less often, but publish something worth, really, really worth publishing than push out a lot of mediocre stuff. Volumes of mediocre thin content have a very hard time getting any traction and a very hard time actually getting any business goals accomplished." There are no set rules and it really comes down to the nature of your business, but the advice is clear – there's nothing to be gained through publishing for the sheer sake of publishing. While you certainly don't want to publish content that's poorly structured and ridden with errors, you don't need to be a literary genius either. What's more important is that you answer your audience's questions and address their fears; that you distil your in-depth knowledge about the issues that concern them into your content; that you capture their attention. That's not to say that you shouldn't seek to oil your writing skills if they're a little rusty – just that you shouldn't sweat the finer details. Aim to be clear, informative and interesting, and your expertise on the subject matter will do the rest. Of course, there are other options too – for example, you could hire a writer or outsource your B2B content writing requirements to a marketing agency. This is a common concern among B2B companies – how can you create content when your organisation operates in a niche? After all, it's too "boring" and no one will read it, right? Well, no, actually. The fact is, if you have a business, then you have an audience – and that audience wants useful, relevant information. To them, this stuff really matters. However, it's important not to publish content that actually is boring, under the guise that that's just the nature of your industry. Writing for Quick Sprout, Neil Patel says: "Industry blogs are often stifled by the notion that they should be formal and professional at all times. The result is stilted, dull language and bland, uninspired content. "Go ahead and let your personality shine through in your blog. It'll make it more fun to write, and your readers will appreciate it too." So, get niche – and own it. It doesn't matter if people outside of your target audience have no interest in your content – it's not intended for them. B2B content writing is shrouded in myths, many of which put companies off content marketing all together - but it doesn't have to be that way. While there's lots of good advice out there, which you should pay heed to, there's also a lot of not-so-good or just plain wrong advice. So, it's always worth taking the time to sort the facts from the fiction.